The answer to the requirement for a multifunction and expandable control unit on a two gang plate. Ideal for projectors, plasma and TFT screen control in place of handsets. 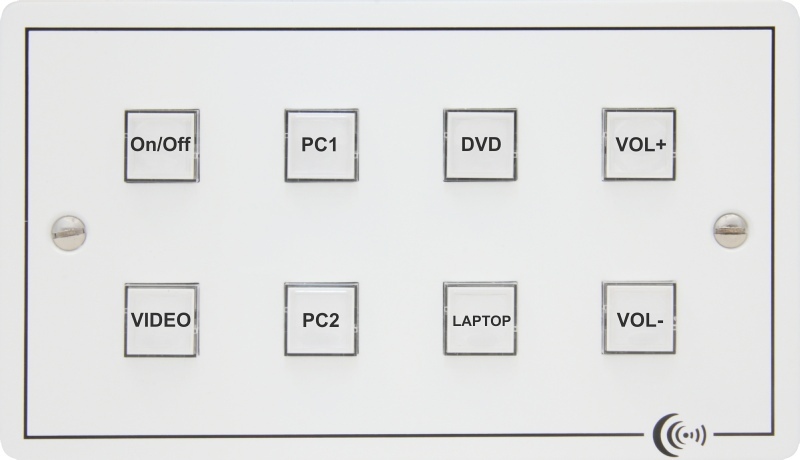 The Octo Podule may be programmed to access any available RS232 commands such as on, off, input select and volume, and with multifunction buttons one press can establish a series of events for seamless operation and timed events such as projector shut down. 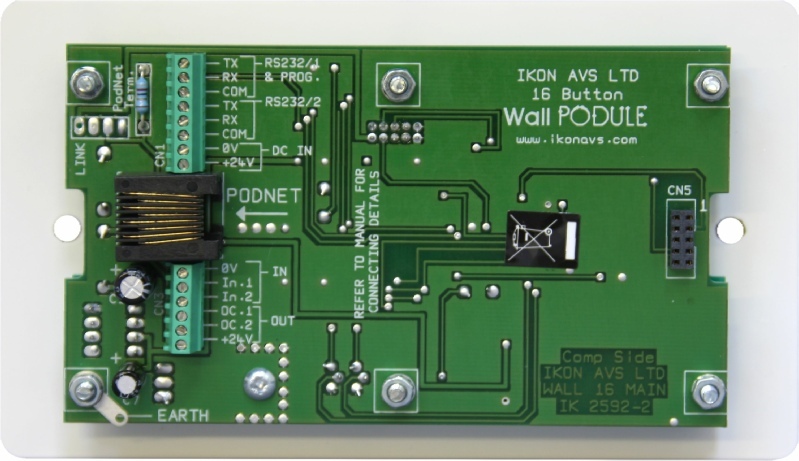 The Octo podule also has local inputs and outputs for connection to external switches, PIR’s, relays and indicators. It also has two infrared output to control peripheral equipment. Includes UK power supply, add ‘/EU’ to order code for European power supply. Power requirements (directly power or via PodNet) 24V DC, 210mA @ 24V.